Venue: First Direct Arena, Clay Pit Lane, Leeds, LS2 8BY. Are you looking to kick-start a career in Digital or Technology? If you are a student, graduate or job seeker, get registered to attend the Leeds’ Digital & Tech Job Fair 4.0 on the 28th February 2018. Leeds Digital Job Fair is THE job fair for developers, analysts, digital marketers, designers and data scientists. We have helped hundreds of businesses fill their job vacancies and grow their business with the best Northern talent. The event is being held on 28th February 2018 at the brand new time slot of 3.30pm until 7.30pm at the Leeds First Direct Arena and completely free to attend. Our job fair will be like no other! We will be bringing seminars from some of the newest and biggest names in tech, opportunities to get advice on your CV and network with business leaders. The event is sponsored by Leeds City Council, Leeds Beckett University, Leeds BID and FD Arena. 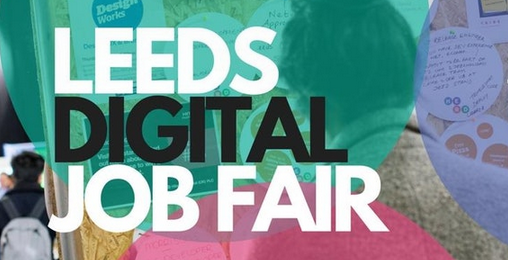 Leeds Digital Job Fair is also brought in partnership with Herd. Careers technology job board, linking up talent with the digital sector across Leeds.